Bev Stanton continues to make club music that’s also fitting for chilling at home. This new offering sees her crank out some happy music for these troubled times with aplomb. 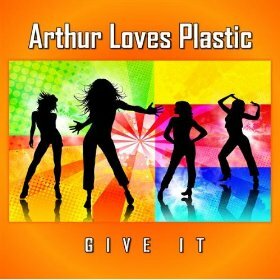 Give it” has a saucy vocal sample set against a simple yet effective beat. It should get your feet moving in no time. I ain’t Happy drifts past and doesn’t let its sampled vocal get much weight under the fluffy feel. Intoxicated is a good title for this goodtime track with a strong beat. It’s one of the album’s best tracks. The closing Forbidden plays around with a track by Paula Knight and it’s pulsing and immediate much like the rest of the album. It’s another enjoyable record by Bev Stanton.